Is your iPhone Factory unlocked? Today we talk about one important app, which definitely encourage you to jailbreak your iPhone or iPad. Apple app store contains thousands of apps which are including paid and free one also. But if you like to play paid games, you have to pay for each game that you download and install as there are so many paid apps available in the market. I hope you got a hint why you need Installous app in above paragraph. Installous is a jailbroken iOS app. Installous allows you to download and installpaid apps for free. It is available on Cydia as ‘Installous 5’ and your iOS device must be jailbroken to install this. In other words, if you want to use paid apps for free then you need Installous. 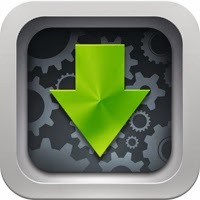 Installous let you download paid apps and free apps from torrent sites. You can use install apps even if you don`t have Apple ID on your iPad or iPhone. LocalSharing feature allows you to share apps and tweaks with other devices using Bluetooth or Wi-Fi. Too enable this feature just go to Settings and select any IPA files. When you click on "Send IPA", instructions will show you how to send the file to other devices. You can download and install apps in background, and this let you do other tasks on the iOS device. It also tells you about the updates. Click on update and you get information about new versions and click "Download" and it will show you instructions. This feature allow you to send an app to other user who hasn’t used the same app. This feature allows you to report links to moderators to keep apptracker clean. It also support BitTorrent downloading. Just click on "magnet link" and downloading will start. To obtain .torrent metdata you just need to ‘demagnetized’ the selected app by using DHT or from the ‘downloads’ tab . You cna also pause and start download. Above mentioned features make your experience of using your iOS device fun and make it easy.. You just need to jailbreak your iOS device3 to download installous and install it. Install Installous from the Cydia Repo Hackulo.us. Also read a complete guide on How to install installous from Cydia.